If you are considering artificial grass, you probably have lots of questions regarding how long it will last, whether or not it will fade, and what type of maintenance it requires. 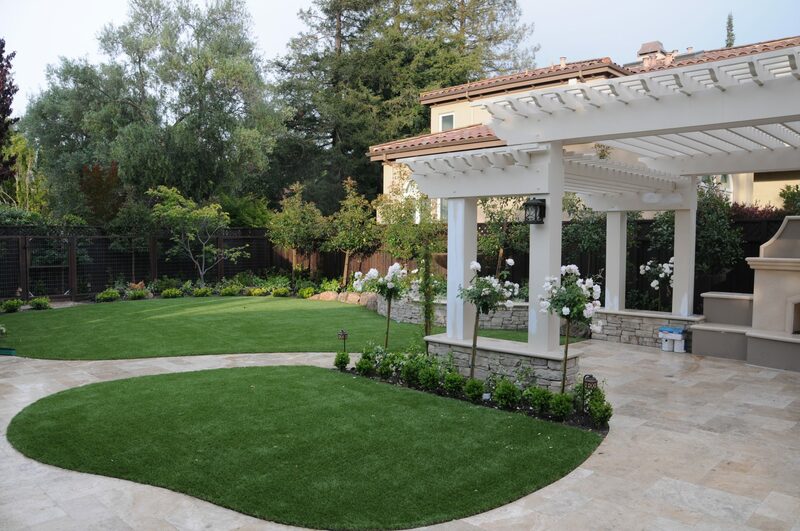 To help you become an informed consumer and to determine whether or not synthetic turf is the right landscaping solution for your situation, here are answers to six frequently asked questions about fake grass. 1. Does Artificial Grass Fade? Quality synthetic turf includes UV inhibitors that are added to the fibers to inhibit fading. While a very small amount of fading can still occur over a long period of time, reputable manufactured grass installation companies will offer a warranty that covers potential fading. For example, at Install-It-Direct, we offer a 10-year warranty against fading. 2. Does Artificial Grass Need Water? Natural grass lawns and sports fields require tens of thousands of gallons of water every year, which is one reason so many homeowners, businesses, sports teams and schools are replacing them with manufactured turf as a low-water option. This, however, does not mean that synthetic lawns are no-water options. 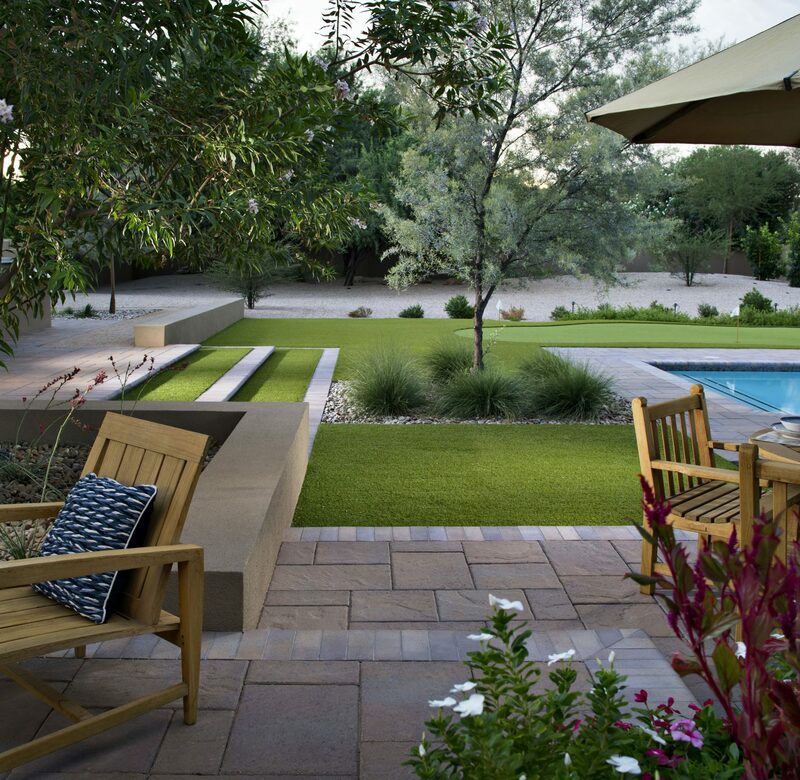 For the most part, your artificial grass does not need water, but there are a few cases in which you may need or want to water your artificial lawn. The most common use for water on your artificial grass will be to rinse it off to remove dust and debris. Most folks can spray down their lawn once or twice a month to keep it clean and looking verdant, but if you live in a particularly dusty area, you may find that you need to spray off your grass more often. You will also need to use water to hose down areas that your pets use for restroom purposes. After removing solid debris, you will want to spray the area with a garden hose to remove any liquids. In some particularly hot, sunny areas, some people like to cool off their artificial grass by spraying it with a garden hose before their children or pets play on it with bare feet or paws. For sports fields, some schools and organizations lightly spray down synthetic turf before games or practices to reduce the potential for particular types of injuries, making this another way in which some artificial grass surfaces may occasionally require water. 3. Does Artificial Grass Grow? You may not see this one on most lists of synthetic turf frequently asked questions, but this is a question folks are looking for an answer to online, so we definitely wanted to include it here. While manufactured grass, in one or form or another, has been around for decades, there are still a lot of questions about what it is and how it works. The confusion about whether or not it grows is understandable when you consider modern installations of fake grass compared with the more carpet-like synthetic turf of long ago. When you see the lush, green look of artificial grass for the first time – and see just how similar it looks to natural grass – it is easy to see why some folks might wonder if artificial grass grows. While we would not be surprised if technological advances someday provide us with fake grass that grows, the current artificial grass offerings do not grow. They are made from synthetic materials and have no biological quality that would allow for natural growth. This, of course, means no mowing, which is one of the many reasons people are choosing this low-maintenance alternative to natural grass. 4. Can I Use a Barbecue Grill on Artificial Grass? Most newer synthetic lawns are fire resistant and likely will not catch on fire; however, they will still melt. This means that burning embers or hot surfaces can leave marks on your lawn, which may require repair. Because hot surfaces can damage your lawn, you should not set portable or tabletop barbecue grills directly on your lawn when in use. Additionally, hot coals or burning embers that may escape from your grill and land on your grass can create small areas of damage. While a gas grill may be a safer option that allows you to avoid lit charcoal or burning wood from falling onto your grass, we recommend avoiding the issue entirely by keeping your grill a safe distance from your manufactured lawn. A safer option would be to use your grill on a paving stone patio or concrete patio or to create a dedicated gravel area that is away from anything flammable or that could be damaged from embers. 5. Can I Park My Car on My Artificial Lawn? Synthetic turf can be used for driveways and parking areas, but there are a few things to consider before using turf for this purpose. First of all, you will need to discuss this option with your artificial grass installer to ensure that the sub-base chosen is appropriate for heavy traffic. It is also a good idea to have a discussion with your installer to allow them to recommend the best type and quality of fake grass for this application and to discuss possible alternatives. For example, rather than installing a large area that is just synthetic turf, it is generally a better option to create a parking area with a combination of paving stones and manufactured grass. Regularly parking cars on a synthetic lawn can cause damage over time, including damage to the fibers or issues from gas or oil leaks. 6. What is the Lifespan of Artificial Grass? The lifespan of your synthetic turf lawn will depend on several factors, including the quality of the turf product, the quality of the installation and the amount of traffic it endures over the years. Depending on how these factors come together and the amount of proper maintenance it receives, you can generally expect manufactured grass to last somewhere between 10 and 20 years. 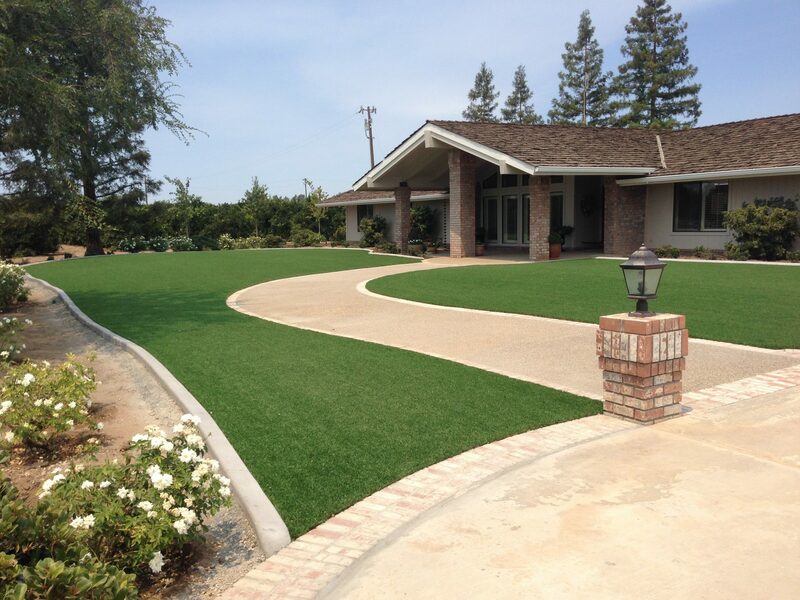 You should see a higher-quality turf lawn last closer to 20 years. How Do I Ensure that Gophers Will Not Damage My NEW Artificial Grass? How to Remove Pet Odor/Urine Smell on Artificial Grass?